Thanksgiving time is hands down the busiest time of travel here in the United States. It is estimated that there will be about 24 million people scuffling through the airports during the Thanksgiving season. If you think that is an impressive number already, that is only a very small portion of all travelers, as 90% will be traveling by car. And more than 50% of these road warriors will travel more than 100 miles. If you are driving for long distances, you must be thankful for rest stops along the way, where you can pull over and stretch your legs, or take a toilet break, or even catch a few winks before you continue on the long road ahead. We have done long drives before and we appreciate the value of a rest area. Iowa, where I reside now, is smack in the middle of America, and the house where I live is just 2 miles from I-80, which is a major road artery that connects the east and west of America. Interspersed along I-80 are some of the biggest and nicest rest areas you can find. Though some friends of ours, who travelled from California to Toronto, or Michigan to California, or even shorter drive from Indiana to Colorado, and were passing through I-80, have stopped over our home for a break and a visit. Of course we did not charge them for bed and breakfast. Yesterday morning, I learned that our place was some other form of rest stop as well. For the birds. I was out on my Sunday morning run, and as I approach a pond, I heard a ruckus. Lots of trumpeting and flapping. 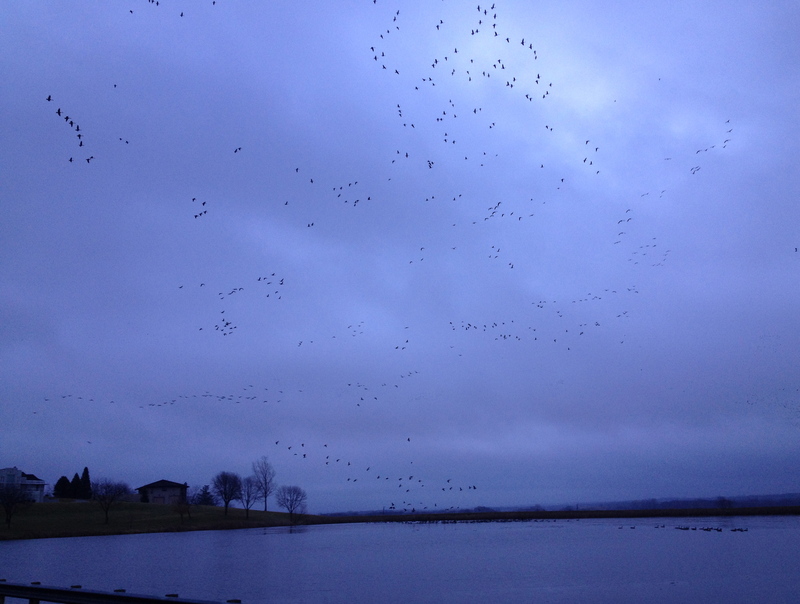 When I looked up there were flocks of geese circling above me. They were taxiing for a landing. 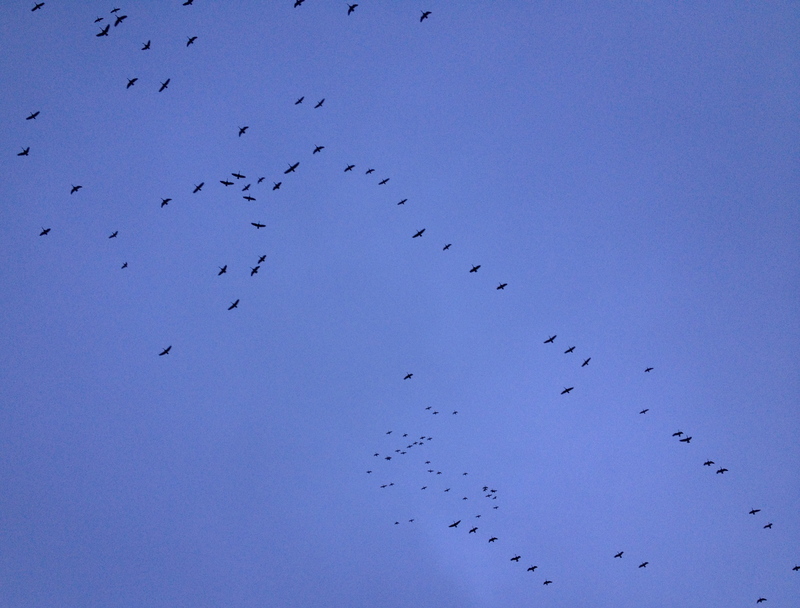 I realized that this season, with the winter approaching, is also a busy time of travel for the migratory birds, as they fly to warmer places. These birds travel from few hundred miles to several thousand miles depending on the species. Some will fly a few thousand miles non-stop until they reach their destination. While some will have some rest stop along the way. Obviously these flocks of geese were stopping over in our place. Maybe it was for a quick bite and bathroom break. Maybe it was to cool their wings. Or maybe it was for a relaxing swim in the pond. Whatever it is, I believe it was due to our excellent accommodation. And we don’t charge them! Below is a short video clip of this rest stop. If only turkeys can travel and migrate too during this season. They would be flying (or running) away to some safer place. That is away from our dinner table. Yet the only rest stop they will end up this Thanksgiving is inside our belly. Aren’t you thankful you’re not a turkey? In any case, wherever you are traveling to this holiday season, or wherever your final destination in your journey in this life, may you have a safe trip. One fine spring day, we heard a “thump” on our window. 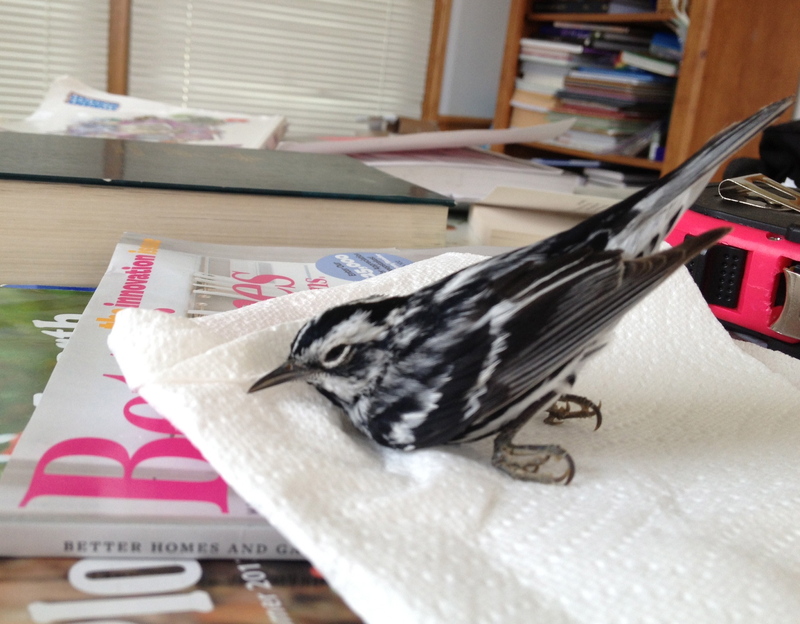 It was a small bird who flew right smack into our glass window. 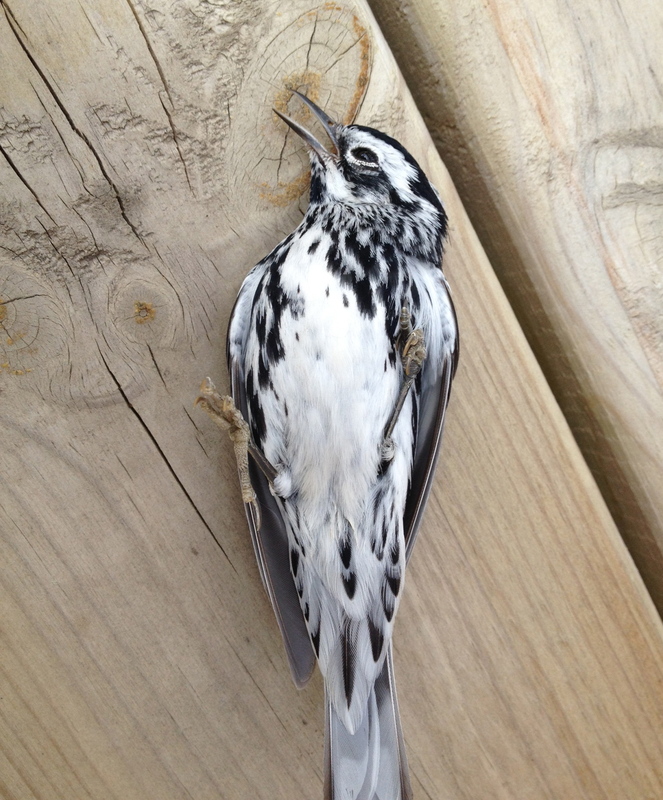 The poor bird was stunned from the impact and laid still on our deck. Was it dead? Poor little creature, it became a victim of a clean glass window. Darn Windex! 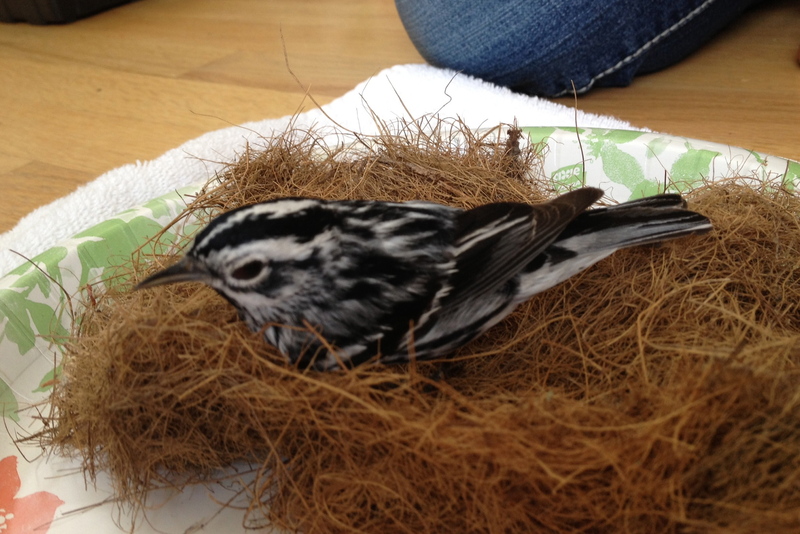 My wife and kids took the poor little birdie inside and nursed it. “Should we bring it to the hospital Mom,” my son asked. No, we’ll just take care of it here at home, was my wife’s answer. Soon the bird started to move and perked up. My children even dug a worm and try to feed it, but it was not interested in eating. All it wanted to do was to fly again. And sure enough, once it was awake and gathered enough strength, it flew. But it flew right back smack into the glass window again! 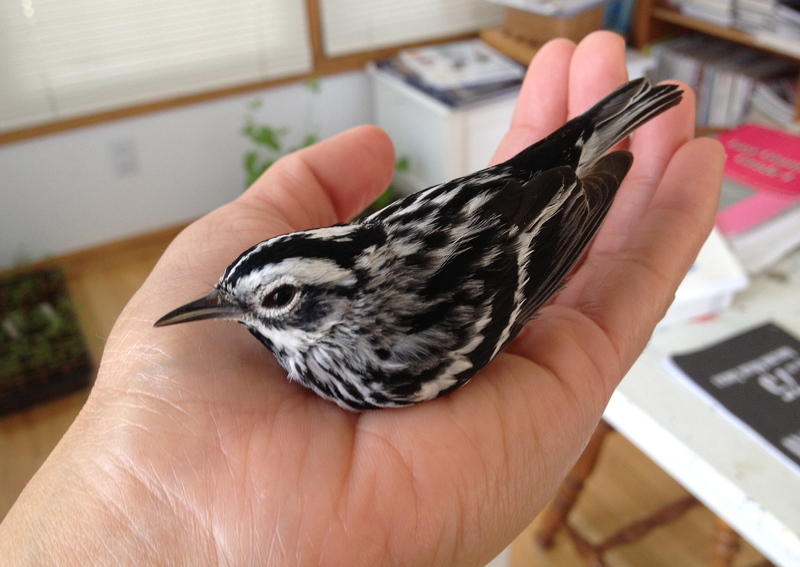 Poor little birdie, it never seems to learn its lesson, not to crash into a window. Good thing was that it did not get hurt so badly on its second crash. It brighten up right away. We thought it was ready to take off once more. So we brought it back outside. And not too long, it was airborne (see video below) and was gone..
Like that birdie, we too sometimes run smack into a glass wall, and we get stunned and hurt by our own mistakes. And yes we recover, but only to fall on the same mistakes again! But as long as we have the will to try again, we can fly again. Even on broken wings.